Believe it or not, but the TWSBI Eco (read my original review HERE) is perhaps one of my favorite everyday fountain pens. Sure, it won't win beauty contests, and it's not the most exciting writer in the world, but it's a powerhouse that simply functions extremely well. On top of that, the low price point makes it easily accessible for a large audience. 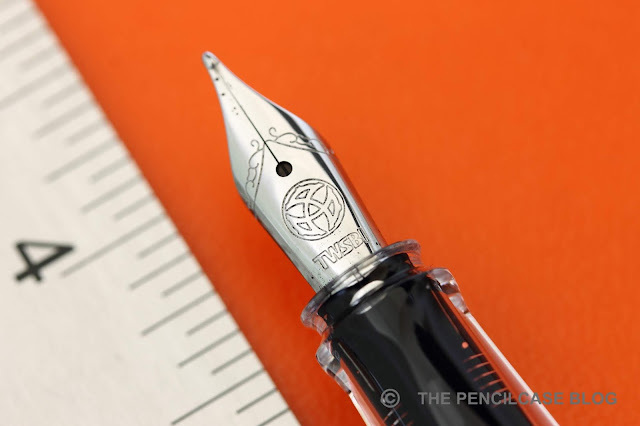 With the aptly named Eco T (T for Triangular), TWSBI aims to improve on the original design. Or well, maybe improve is a wrong way to put it. 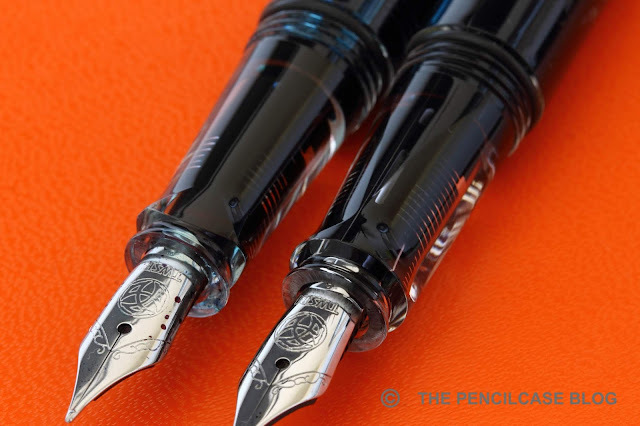 Rather, they are trying to make it more ergonomic for beginner fountain pen users, much like the Lamy Safari. 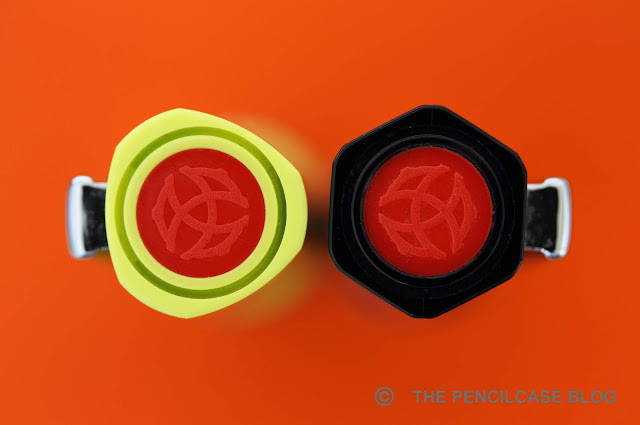 The design has largely remained the same, but the cap and blind cap now have a triangular profile instead of the hexagonal shape on the regular Eco. The grip section also has a slightly more triangular profile. Unfortunately, it's not an improvement on the rather meh design, but this yellow-green colorway is kind of fun (there's also a pretty neat light blue version available right now, but other than that, the color options aren't as varied as the regular Eco). 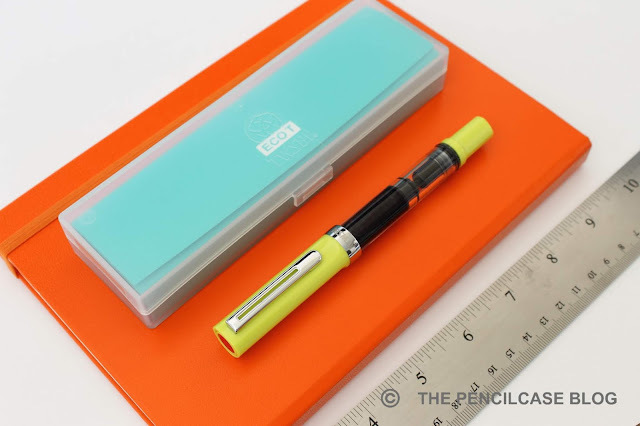 The more triangular shape of the section is supposedly to improve the ergonomics for beginner fountain pen users, but I found it difficult -if not impossible- to tell the new section on the Eco T apart from the old one (You be the judge in the photo above!). The improvement in ergonomics is equally minimal, but then again I never found the Eco to be uncomfortable in the first place. It guides your grip a bit more than the original, but not so much that it feels restrictive. It's definitely not as polarizing as the pronounced section shape of the Lamy Safari, so I think it should be a comfortable fit for most people. 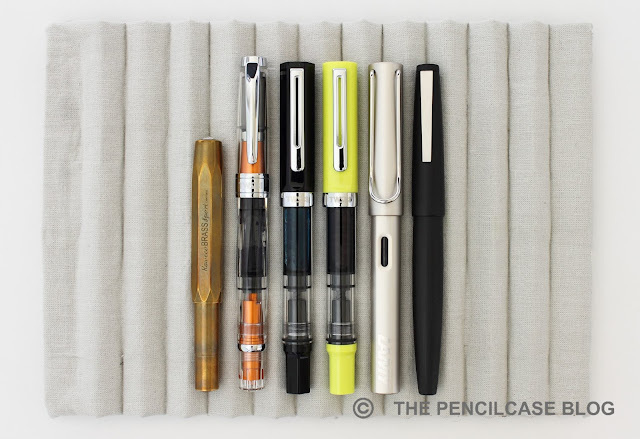 In terms of size, the Eco is a full-sized pen at 13,9 cm (5.5") closed and 13.2 cm (5.2") uncapped. The cap posts securely due to the rubber O-ring behind the piston knob, and it remains quite nicely balanced even when posted. However, I personally never felt the need to post the cap on this one. It's a lightweight plastic pen, coming in at 22g total, but it does feel surprisingly solid and sturdy. The reason why I love the Eco (T) so much for everyday use is two-fold: For starters it's quite a tough pen. 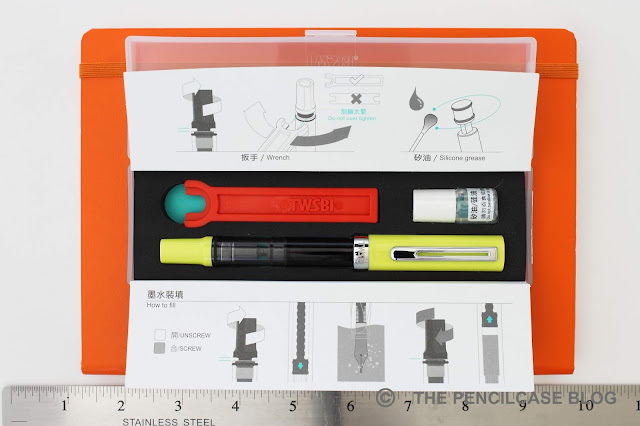 Even though it's one of the cheapest TWSBI offerings, it is also one of the most well-built and lacks the cracking issues that the more expensive models suffer(ed?) from. My original Eco is about three years old now, and it still stands strong after a LOT of use. The second reason I love the Eco is the massive ink capacity. The Eco is of course a piston-filler, and holds about 1.8ml of ink: more than twice the capacity of a standard international converter! Not to forget, another good reason to look into TWSBI pens are the excellent nibs (I think they use JoWo nibs nowadays). I chose a broad nib on this particular pen, but have used pretty much all their nib sizes over the years and the writing experience is consistently reliable across the board. The broad steel nib is polished just enough to be both smooth and consistent. The ink flow is on the wetter side, but it's not a gusher. It's a stiff nib and it lacks character, but makes up for that with reliability. The rubber O-ring behind the threads helps to keep the cap tightly closed, but at the same time it also does an excellent job keeping the nib from drying out (even after multiple weeks of not being used, it starts up right away). 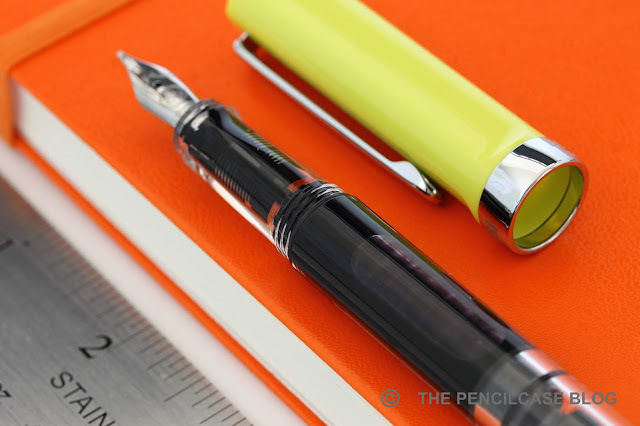 Few pens offer the kind of value for money that the TWSBI Eco does. More than 3 years after its release I still love everything about it: it holds up to everyday use, has a large ink capacity and writes reliably out of the box! The Eco T brings very little change to the original design, but why change something that is already quite excellent anyway? 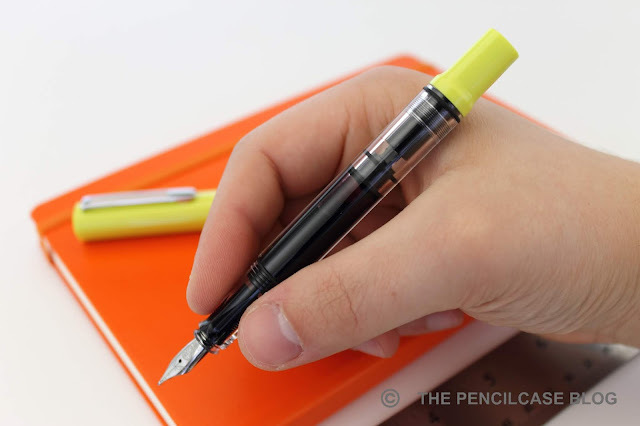 At 35€ (29$), it's one of the most affordable piston-filler fountain pens on the market. It's a great option, regardless of whether you are a long-time collector/user like me, or you just got into fountain pens and want to start using bottled ink. Note: La Couronne Du Comte is a sponsor of this blog. I received this product free of charge. I was in no way influenced in the making of this review, the opinions shared in this review are completely my own! This post does not contain affilate links. It should also be noted that Pilot nibs fit into the Twisbi with a 5 minute mod. Super tough piston filler with a (J)EF nib? Oh yes.